These are compelling reasons to phase out all coal-fired power stations within the next 10 years, starting with the most polluting, to reduce the numbers of avoidable deaths and illnesses. Environmental Justice Australia’s (EJA) comprehensive report concentrates on the four most toxic substances which are emitted by coal-fired power stations: particulate matter called PM10 and PM2.5 depending on their size, sulphur dioxide (SO2) and oxides of nitrogen (NOx). PM10 mainly causes chronic lung disease while the finer PM2.5 can pass through the lungs and into the circulation and contribute to heart disease, stroke and cancer. Sulphur dioxide and oxides of nitrogen cause lung irritation and associated symptoms such as cough and wheeze, and can precipitate asthma. Children and the elderly are especially vulnerable to the adverse effects of these gases. Monitoring is done by the companies themselves as infrequently as once a year. Based on limited information, annual estimates are then calculated by the company and reported to the National Pollutant Inventory. While some have acted responsibly, there is evidence of companies manipulating the combustion processes when levels are being measured. Levels are judged against limits which are 2-5 times greater than those in Europe, China and the USA. Doctors for the Environment Australia and EJA have worked together for many years in an effort to have more stringent standards introduced throughout Australia. These efforts have been partly successful in some states but uniform standards are lacking. Even when limits have been exceeded, no company has been prosecuted. The current method of electrostatic precipitation to remove particulate matter, which is employed in Victorian power stations, is only partly effective. There are several industrial processes which can more effectively reduce airborne pollution which the power stations could install. These include wet scrubbers to remove sulphur dioxide and a process called selective catalytic reduction to remove oxides of nitrogen. In the USA, power stations have been required to install these pollution reduction technologies or close. Advocates for the continuation of coal-fired power stations are promoting the establishment of HELE (high-efficiency, low emission) technology. However even the most advanced “ultra-supercritical” use of brown coal would reduce toxic emissions by only 14% without the addition of the special anti-pollution devices. The prime purpose of HELE though is to reduce carbon emissions, and since the reduction achieved would be nowhere near sufficient to achieve Australia’s targets, as well as being hugely expensive, HELE does not have a future in power production. EJA’s recommendations to introduce strong and uniform pollution standards and for more rigorous independent monitoring are timely. Results should be available to the community in real-time and action taken where limits are exceeded. Ill health comes at a cost which is not paid by the companies or by consumers. However, indirectly we are all paying through our health system. In the Hunter Valley, NSW, this amounts to an estimated $600M per year. In Victoria, if all the external costs (including health-care) had been accounted for in the operation of the Hazelwood power station, which closed earlier this year, the true wholesale price would have been tripled. This week’s announcement of Port Augusta’s solar thermal initiative in South Australia is an example of smart, clean technology benefitting communities with cleaner air, a healthier environment and more jobs. It’s time for federal and all state governments to leave coal in the ground and invest in the health and prosperity of all Australians. 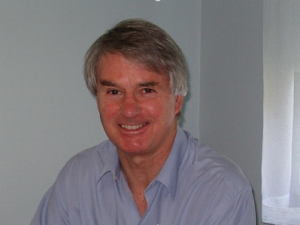 Dr John Iser is the Victorian Chair of Doctors for the Environment Australia. He has been a general physician and gastroenterologist.